Mortal Kombat 2019 roster, release date, character details and when is MK11’s beta test? MORTAL Kombat first burst onto the gaming landscape back in 1992 with its success expanding it from its arcade origins to games, movies and comics. 27 years after the franchise first spawned, the eleventh title in the brutal fighting franchise is set to be released. Here's all you need to know about when it's released... 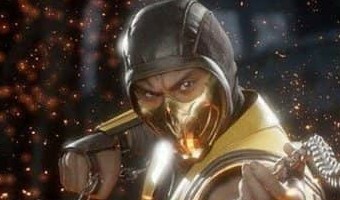 When is Mortal Kombat 11's release date? Mortal Kombat 11 is set to be released on April 23, 2019, for Nintendo Switch, PlayStation 4, Windows PC, and Xbox One. The fighting game's brand new story mode will feature the franchise's first female boss, Kronika, alongside a brand new fighter in her servant, Geras. The game will include the new mode, Towers of Time, as well as the new Fatal Blow feature for when a player's character's health drops below 30%. Mortal Kombat 11's beta will start March 28 but will only be available on PlayStation 4 and Xbox One systems. WWE star Ronda Rousey reveals why she's starring in the incredibly gory Mortal Kombat 11 What characters are … [Read more...] about Mortal Kombat 2019 roster, release date, character details and when is MK11’s beta test? Mortal Kombat 2019 roster, release date, character details and what fatalities have been revealed so far for MK11? MORTAL Kombat first burst onto the gaming landscape back in 1992 with its success expanding it from its arcade origins to games, movies and comics. 27 years after the franchise first spawned, the eleventh title in the brutal fighting franchise is set to be released. Here's all you need to know about when it's released... When is Mortal Kombat 11's release date? Mortal Kombat 11 is set to be released on April 23, 2019, for Nintendo Switch, PlayStation 4, Windows PC, and Xbox One. The fighting game's brand new story mode will feature the franchise's first female boss, Kronika, alongside a brand new fighter in her servant, Geras. The game will include the new mode, Towers of Time, as well as the new Fatal Blow feature for when a player's character's health drops below 30%. Mortal Kombat 11's beta will start March 28 but will only be available on PlayStation 4 and Xbox One systems. WWE star Ronda Rousey reveals why she's starring in the incredibly gory Mortal Kombat 11 What characters are … [Read more...] about Mortal Kombat 2019 roster, release date, character details and what fatalities have been revealed so far for MK11? Mortal Kombat 11 pre-order info, release date, character details and what fatalities have been revealed so far? MORTAL Kombat first burst onto the gaming landscape back in 1992 with its success expanding it from its arcade origins to games, movies and comics. 27 years after the franchise first spawned, the eleventh title in the brutal fighting franchise is set to be released. Here's all you need to know about when it's released... When is Mortal Kombat 11's release date? Mortal Kombat 11 is set to be released on April 23, 2019, for Nintendo Switch, PlayStation 4, Windows PC, and Xbox One. The fighting game's brand new story mode will feature the franchise's first female boss, Kronika, alongside a brand new fighter in her servant, Geras. The game will include the new mode, Towers of Time, as well as the new Fatal Blow feature for when a player's character's health drops below 30%. Mortal Kombat 11's beta will start March 28 but will only be available on PlayStation 4 and Xbox One systems. WWE star Ronda Rousey reveals why she's starring in the incredibly gory Mortal Kombat 11 What characters are … [Read more...] about Mortal Kombat 11 pre-order info, release date, character details and what fatalities have been revealed so far? When is Mortal Kombat 11’s release date, what characters are back and what fatalities have been revealed so far? MORTAL Kombat first burst onto the gaming landscape back in 1992 with its success expanding it from its arcade origins to games, movies and comics. 27 years after the franchise first spawned, the eleventh title in the brutal fighting franchise is set to be released. Here's all you need to know about when it's released... When is Mortal Kombat 11's release date? Mortal Kombat 11 is set to be released on April 23, 2019, for Nintendo Switch, PlayStation 4, Windows PC, and Xbox One. The fighting game's brand new story mode will feature the franchise's first female boss, Kronika, alongside a brand new fighter in her servant, Geras. The game will include the new mode, Towers of Time, as well as the new Fatal Blow feature for when a player's character's health drops below 30%. Mortal Kombat 11's beta will start March 28 but will only be available on PlayStation 4 and Xbox One systems. WWE star Ronda Rousey reveals why she's starring in the incredibly gory Mortal Kombat 11 What characters are … [Read more...] about When is Mortal Kombat 11’s release date, what characters are back and what fatalities have been revealed so far?